A fun game for friends & family. Miniature Poker game. Age 8+ for 2 or more players. 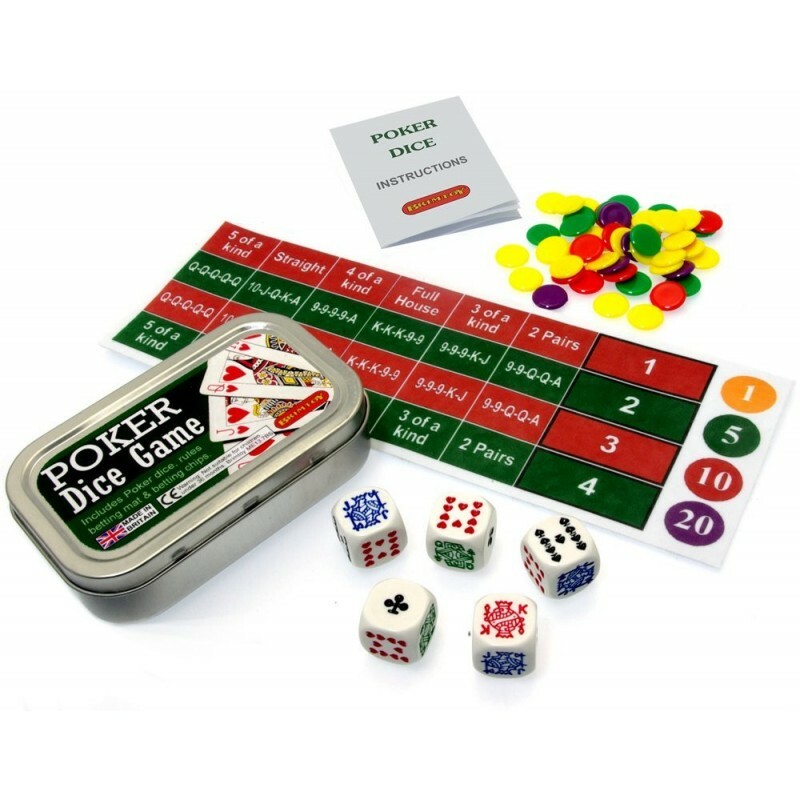 Includes Poker dice, betting chips, betting mat & rules. 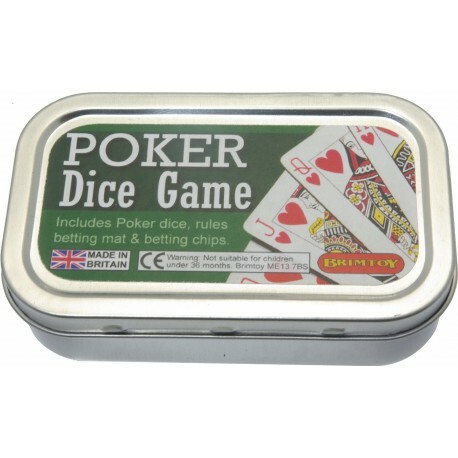 All the fun of a casino in a little tin!